Work with your project team and facilitate planning session for experimental investigation. Clients need to carry out experiments as planned and confirm recommendations. Are you experiencing difficulties resolving your critical production and manufacturing problems? Is your manufacturing and production process suffering from undesirable variations, rework, and rejects? Are you satisfied with your first time capability? Such chronic production problems are like leaky water faucets. Longer you postpone, more it hurts your bottom line. While many problems may be resolved by common problem solving disciplines, there are a few that require special techniques. Fortunately, the solution to most such engineering problems lies in the collective experience and skill of your technical professionals. So, why aren�t such problems solved? Many such problems do not have a single source. The solution, often, is obtainable by properly adjusting many factors that influence the outcome. To determine the solution, your project team needs to follow a proven structure of thought process and be guided by an experienced facilitator who can help them develop consensus on key technical inputs and confidently rely upon data-driven conclusions derived by conducting economically planned experiments. We support clients at all phases of your project application, be it for proactively optimizing designs (product, process, recipe, marketing literature/web pages, etc) or solving technical problems. Solve production and manufacturing process problems by experimental investigations. Study current performance by running experiments with extreme settings of the controlling variables and carry out analysis of the collected performance data. The ultimate objective will be to secure a robust solution that offers much improved performance of the product and process under investigation. You should definitely consider this approach when the sources of your problem are unknown or otherwise when the problem is suspected to have multiple causes. Problem solved: First Time Capability (FTC) improved, rejects reduced, and reworks minimized. Support Duration: Average 3 - 5 days. Participants to the experiment planning session are likely to receive an overview of the Taguchi experimental design methods. The team members who take a keen interest in the conduct of the experiments and the subsequent analysis, may further gain insight into the process of determining the optimum condition and identifying factor influences. Team members who wish to develop application level expertise so that they may carry out projects on their own, may attend our public Seminars, read the reference texts and procure Qualitek-4 software for analysis purposes. There are no minimum educational background requirements for the project team members. However, DOE application is more successful when all team members are committed to working together as a team and are always willing to yield to the consensus decision. Generally, background research about the project, such as ROOT CAUSE ANALYSIS, PARETO DIAGRAM, FISHBONE DIAGRAM, etc., are helpful only when the participants are willing to sacrifice the ownership to such exercises. Such information may be brought to the planning session only when readily available. Responsibility: All team members must participate in the planning session (1 whole day) and perform other tasks as assigned by the team. The project team leader provides the overall project coordination. He or she must keep the team members interest in the project alive throughout the project duration. The leader must help formulate consensus on items that are subjectively decided. 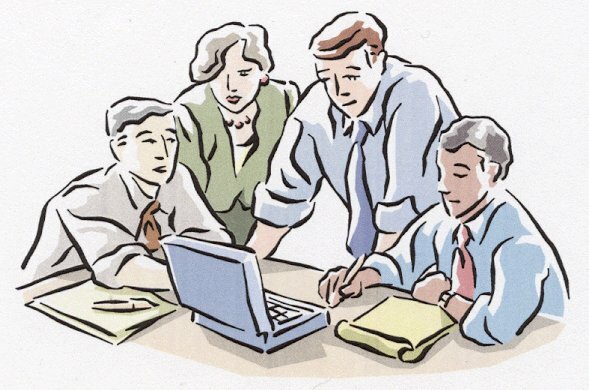 Responsibilities/Tasks: Keep contact with the consultant, form team, communicate with team members, participate in planning session, control project progress, schedule meetings with the consultant, assures timely conduct of the experiments, collect data, and keep team members appraised of the project status. Roles: Facilitate experiment planning session, designs experiments and analyzes results. As a participant, how can one be more effective? By analyzing results of the designed experiments. The facilitator/consultant need not be an expert in the subject product or process. His/her expertise lies in the DOE technique and in working with people at a technical level. Once the designed experiments are carried out, all conclusions are driven by the experimental data. What should you expect in terms of the size of experiment? Most common problem solving projects require use of 8, 12 or 16 test conditions. Depending on the costs, a number of samples are tested in each of these conditions. Each samples are then carefully evaluated using one or more criteria of evaluations. Study of Crankshaft Surface Finishing Process, Adjustment of Transmission Control Cable Parameters, Study of Plastic Wire Extrusion Process, Experiment on the Binding Force of a Plastic Product, Experiment with a Fabric Dyeing Process, Optimization Automobile Drivability Parameters, Determination of Optimum Gel Content in Polyethylene Compound, Study of Heat Treatment Process Parameters, Minimization of Surface Finish on the Bearing Journals, Parameter Study of Graco-2 Spray Gun, Study of Front End Alignment, Optimization of Instrument Panel Foaming Process, Aqueous Cleaning for PC Board Soldering, Process Study of Pinion Bore Honing Process, Cylinder Core Wash Elimination Study, Machining Parameters for Minimum Tool Wear, Optimization Plastic Injection Process, Study of Effect of Salt Spray on Seal Friction, etc. Engine Idle Stability, Study of Instrument Panel Optimization, Design Optimization (using FEM model) Study Leading to Selection of Worst Case Barrier Vehicle, Airbag Optimization Design Study, Study of Automobile Front Crush Structure Design Parameters, Fishing Reel Line Roller Design Study, Automobile Hood Hinge Design Study, Ultimate Strength Optimization of Bearing Outer Race, etc. Our Consulting Service - How we facilitate your project application. Defined and the method of data collections, etc. Results of experiments carried out contain a vast amount of information. But there are FOUR basic categories of information which even the smallest (L-4 experiment with 1 sample/trial) experiment can yield. Analysis of DOE results contain information such as: (1) Factor Influence (Factor average effect or Main effect), (2) Relative influence of the factors to the variation of results (ANOVA, which is short form for Analysis of Variance), (3) Optimum condition, and (4) Expected performance at the optimum condition. Other types of information like Confidence level, Significance tests, Confidence Interval (C.I. ), Loss, etc. are easily obtained with slight additional effort. Q1: What kind of problems can be solved by Design of Experiment (DOE) technique? A1: Any problem or product/process design issues that are suspected to have influence from two or more factors (input variables) will benefit from DOE. Q2: Why should I apply DOE when there are other simpler problem solving techniques available? A2: Use simpler technique that you know to solve problems when you can. generally, if your problem is of technical nature (production process or complex product design) with more than two factors involved, common disciplines of problem solving will not be able to determine a statistically valid solution. Q3: What are the advantages of using Taguchi version of DOE? A3:The Taguchi version of DOE is relatively simpler to apply for people with limited background in statistical science. Below are some of the advantages. LOSS FUNCTION allows translation of improvement in terms of dollars with statistical validity. Q4: If we were interested in benefiting from the Taguchi DOE technique to solve product or process design issues, how should we go about it? A4: To learn and apply the technique, you have several options. Retain experienced practitioners to help you with current problems that affect your bottom line. Q5: What level of training or skill building do we need to start applying the technique to solve problems? A5: Start with simpler experiments (3 -11 factors). Secure help/guidance from experience practitioners for first few experiments. Q5: What is a cost effective way, train our own people or secure consulting support? A5: Depending on your need, select the option. Definitely, starting with a few applications and have success stories to back your training effort is highly recommended. Q6: If we go for consulting support, what should we expect the consultant to do? A6: Consultants can help you with all THREE PHASES of the application: (1) Experiment PLANNING, (2) Experiment design, and (3) Analysis of results. Time permitting, you may also receive an overview of the technique and detailed understanding of the activities involved in each step. Q7: Our process is quite complex, is it possible for consultant to know our process and give us some design recommendation? A7:A consulting knowledgeable in Taguchi/DOE need not be an expert in your product or process under study. Nor should the consultant participate in major decisions about the project. He or she simply should facilitative and help you walk through the structure of discussions recommended ( http://nutek-us.com/wp-exptplanning.html ) during the experiment planning session. Q8: If we secure consulting support, what kind of time involvement the team members have to offer? A8: Involvement of the team member will range between 1/2 day to 1 1/2 day. The rest of the work on the project most likely be done by the responsible parties. Q9: What is time requirement to complete a typical project? A9: The project completion time is mainly dictated by the nature of the project and other logistics for conducting the experiments. Beyond the experiment planning (2 days), the design can be laid out within 2 - 5 days. This allows the experiments (say 4 - 16) conducted. The time for running the experiments will depend on the nature of the project and number of samples tested in each trial condition (cannot be estimated). The final part the consultant provide is analysis service which may take another week. Q10: Is there a way to estimate the range of size of experiment that would be involved in our projects? A10: Most projects will involve 8 to 12 separate experimental conditions.